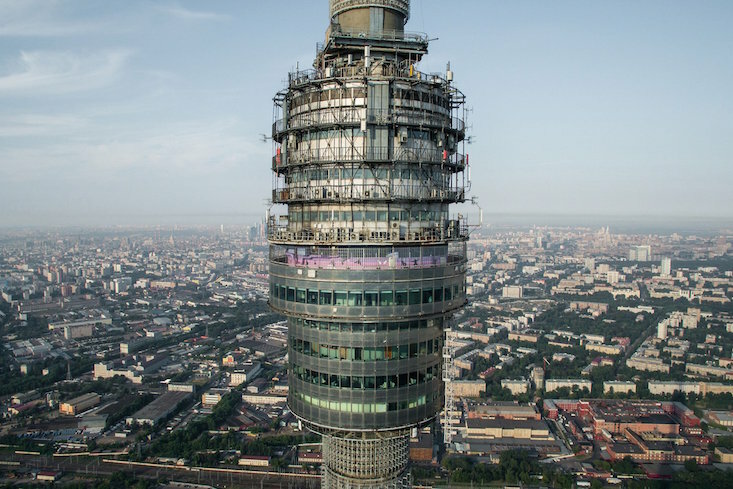 Earlier this summer, Russian photographer Denis Esakov released Spying on Moscow: A Winged Guide to Architecture — the first book to capture Moscow with a drone-mounted camera and reveal the fifth facade of the city's architectural treasures. 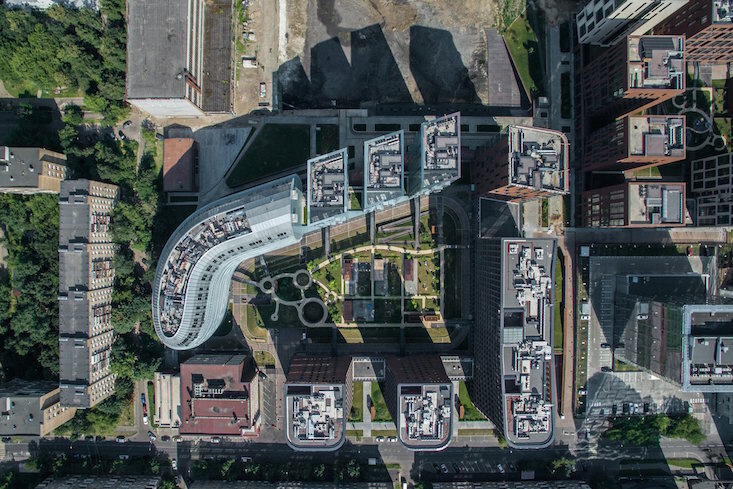 In Spying on Moscow, Esakov offers a fresh vision of over 70 architectural objects, creating a kind of narrative about each building with three images: two taken from above, and a third from the perspective of an observer at ground-level. The photographer spent more than a year working on the series in order to create what he terms a “volumetric portrait” of each architectural object. Featured buildings include the Russian Army Theatre, Ostankino Tower and Garden Quarters residential complex. 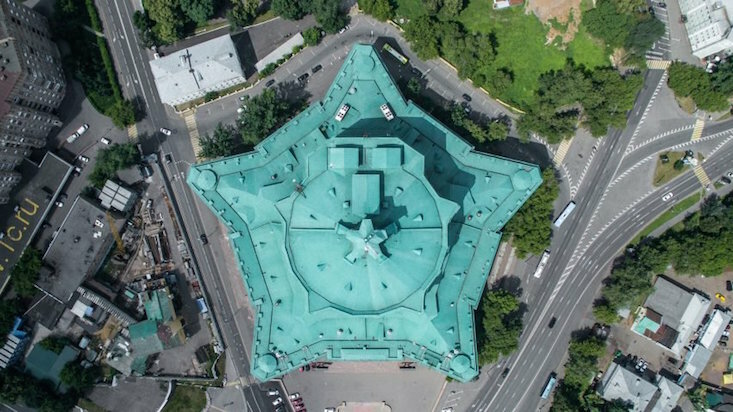 Spying on Moscow: A Winged Guide to Architecture, produced by Dom Publishers, is available for purchase here.